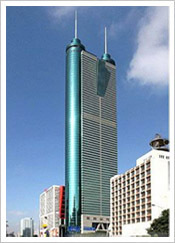 China Truer IP China Truer IP was founded at the end of 2002, locates in Shenzhen Economy Special District. With firm technology basis, precise and fact-esteemed working style, as well as ebullient and expeditious service, our firm has quickly grown into one of the largest law firm in Shenzhen. By statistic provided the Shenzhen IP Office, the firm has handled the most Patent Applications for Invention in 2004, winning trust and long-term cooperation of many local and foreign clients. Patents, trademarks, copyrights, unfair competition, trade secrets and related matters are all components of our practice areas. The firm's technical fields include Biochemistry, Biotechnology, Chemistry and Chemistry Engineering, Electronics and Computer Engineering, Mechanics, Medical Device, Telecommunication, Physics and Optics, Pharmacy, etc. All patent lawyers in the firm are registered to practice before the China Patent Office or have Patent Agent Qualification. Most of them have undergraduate or graduate degrees in one of the engineering disciplines or in one of the physical or life sciences. A majority of these lawyers also have doctor’s degrees and/or prior work experience as engineers or scientists in high-tech industries. In addition, the firm has a few non-technical lawyers who support international practice and specialize in the protection of trademarks and copyrights. These years, with fast-growing applications to be filed overseas, Truer has established nice cooperative relationships with many associates all over the world, and in return has successfully handled many applications filed in China for our foreign clients, during which gained a good reputation. We believe, you will be our next client and will be forever one.